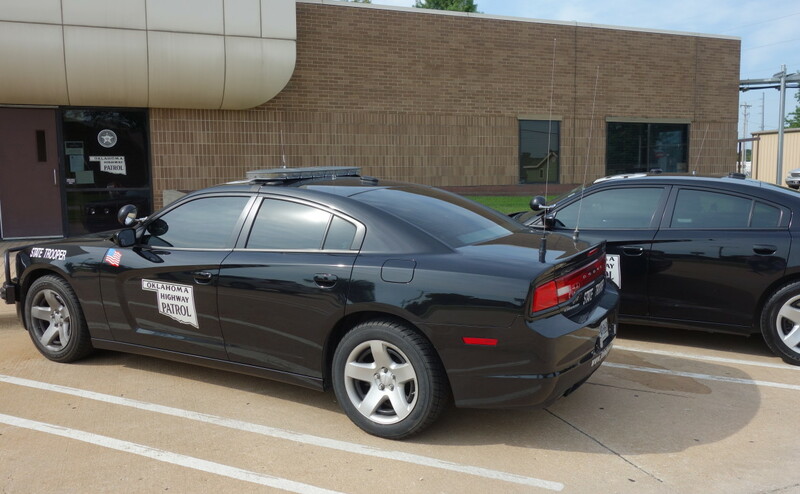 Among all state and local law enforcement agencies in Oklahoma, the Oklahoma Highway Patrol received the most funds from the U.S. Department of Justice's Equitable Sharing Program. In fiscal r 2014, the agency received $667,593 through the program. Law enforcement is not violating people’s constitutional rights by seizing cash, cars or other property from those alleged to be drug dealers, Canadian County Sheriff Randall R. Edwards told a mostly conservative group Monday. Speaking to the High Noon Club at H&H Shooting Sports in Oklahoma City, Edwards pushed back against a bill by state Sen. Kyle Loveless that would change the state’s asset forfeiture laws. Loveless had spoken to the group about his bill last week. Law enforcement officials, including police chiefs, sheriff’s officials and district attorneys, have criticized Loveless’s bill. Loveless was at Monday’s meeting, but did not speak. “We’re not violating your Fourth Amendment rights,” Edwards said. Edwards accused Loveless of jumping on an anti-law enforcement bandwagon that arose after the Aug. 9, 2014, shooting of Michael Brown in Ferguson, Mo. Edwards said anti-law enforcement rhetoric has spread into more conservative circles, where support is usually high. Edwards said the move to change asset forfeiture laws so that forfeited money would be sent to the state’s general fund, would greatly hamper the ability of law enforcement to effectively fight the war on drugs and drug cartels that ship drugs and drug money across the nation. Before speaking, Edwards handed out a document with statements from him, Canadian County District Judge Gary Miller, Canadian County District Attorney Mike Fields, and Oklahoma County First Assistant District Attorney Scott Rowland that criticized Loveless’ bill and stressed the need for asset forfeiture. However, Edwards and Canadian County Undersheriff Chris West, who also spoke at the meeting, met with some resistance from the audience. Some walked out, others voiced their concern that the seizure of personal property was a violation of the Constitution, especially in instances where no one was charged with a crime. State Rep. Bobby Cleveland asked Edwards whether using an arbitrator to determine whether seized property should be returned, rather than the property owner having to hire an attorney to go through court proceedings, would be acceptable. “What I don’t support is a person who is perfectly innocent having to spend money to get their own money back,” Cleveland said. Edwards said he would not support the idea because it would put too much power in one person’s hands.